Comet C/2018 Y1 (Iwamoto) taken by Tone Špenko on February 28, 2019 with Rezman I telescope. A single 180 seconds exposure with ASI294 colour camera. Image scale is 2.6sec/pixel. Comet 46P/Wirtanen taken by Tone Špenko on February 28, 2019 with Rezman I telescope. A single 180 seconds exposure with ASI294 colour camera. Image scale is 2.6sec/pixel. Comet C/2018 Y1 (Iwamoto) taken by Tone Špenko on February 8, 2019 with Rezman I telescope. 60 seconds exposures in each LRGB filter. Image scale is 1.9sec/pixel. Comet C/2018 Y1 (Iwamoto) taken by Tone Špenko on February 5, 2019 with Rezman I telescope. 60 seconds exposures in each LRGB filter. Image scale is 1.9sec/pixel. 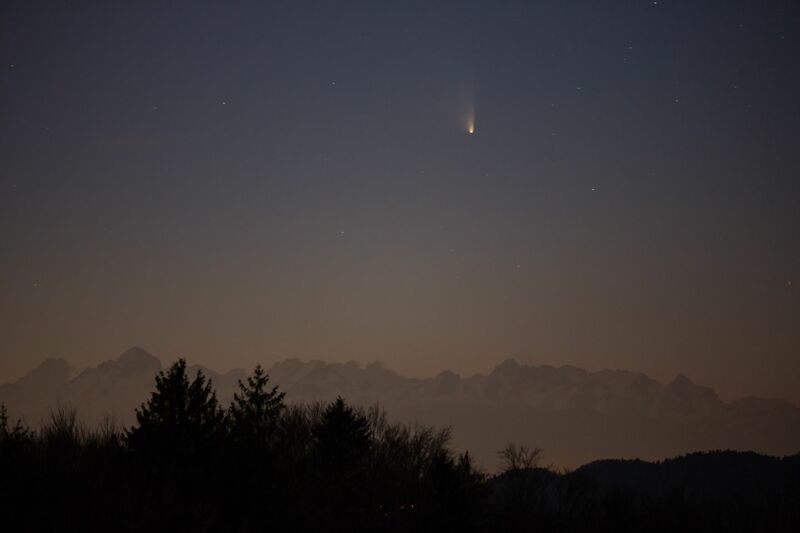 Comet C/2015 O1 (PanSTARRS) taken by Tone Špenko on February 5, 2019 with Rezman I telescope. 180 seconds exposures in each LRGB filter. Image scale is 1.9sec/pixel. Comet 46P/Wirtanen taken by Tone Špenko on February 8, 2019 with Rezman I telescope. 120 seconds exposures in each LRGB filter. Image scale is 1.9sec/pixel. Comet 46P/Wirtanen taken by Tone Špenko on February 5, 2019 with Rezman I telescope. 120 seconds exposures in each LRGB filter. Image scale is 1.9sec/pixel. Comet 64P/Swift-Gehrels taken by Tone Špenko on February 8, 2019 with Rezman I telescope. 120 seconds LRGB exposure. Image scale is 1.9sec/pixel. 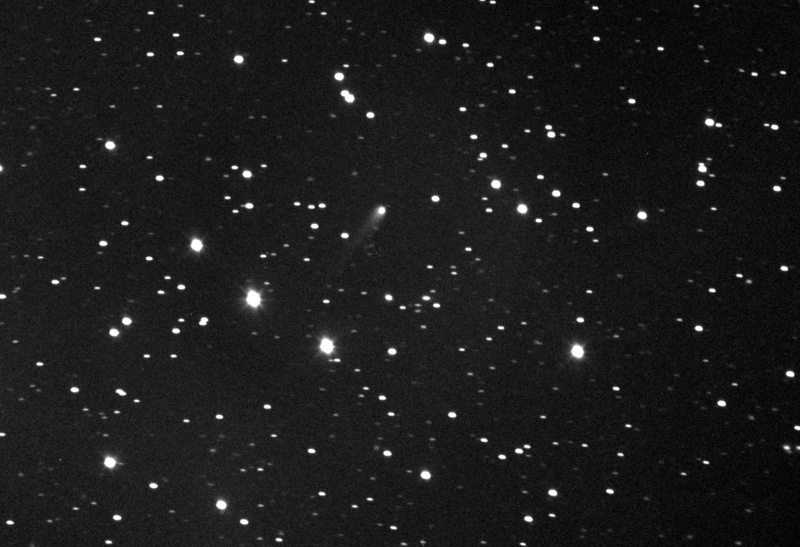 Comet 60P/Tsuchinsan 2 taken by Tone Špenko on February 5, 2019 with Rezman I telescope. 300 seconds in L and 120 seconds exposures in RGB filters. Image scale is 1.9sec/pixel. 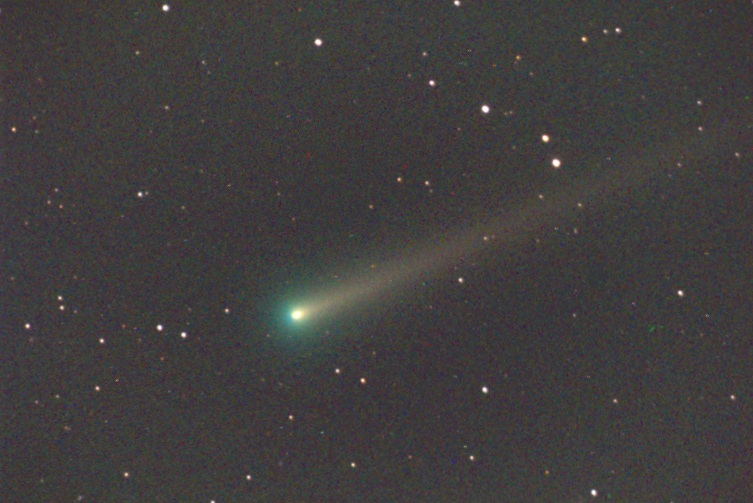 Comet 123P/West-Hartley taken by Tone Špenko on February 5, 2019 with Rezman I telescope. 120 seconds LRGB exposures. Image scale is 1.9sec/pixel. Comet 38P/Stephan-Oterma taken by Tone Špenko on February 5, 2019 with Rezman I telescope. 120 seconds LRGB exposure. Image scale is 1.9sec/pixel. Comet 46P/Wirtanen taken by Tone Špenko on December 27, 2018 with Rezman I telescope. 60 seconds exposures in each LRGB filter. Image scale is 1.9sec/pixel. 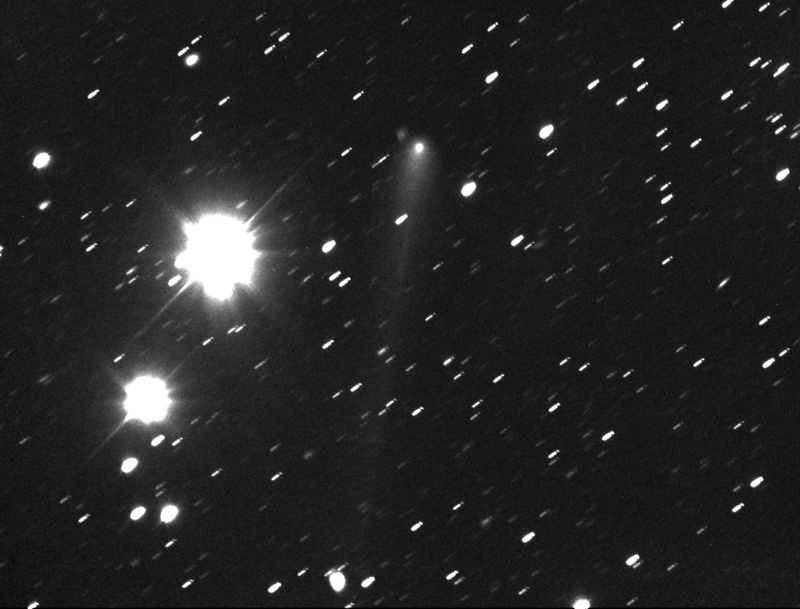 Comet64P/Swift-Gehrels taken by Tone Špenko on December 27, 2018 with Rezman I telescope. 180 seconds LRGB exposures. Image scale is 1.9sec/pixel. Comet 46P/Wirtanen taken by Tone Špenko on December 26, 2018 with Rezman I telescope. 60 seconds exposures in each LRGB filter. Image scale is 1.9sec/pixel. 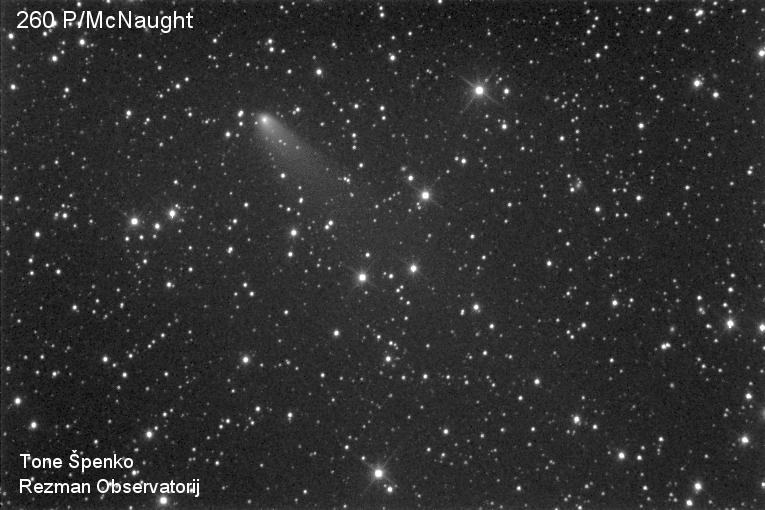 Comet 64P/Swift-Gehrels taken by Tone Špenko on December 26, 2018 with Rezman I telescope. 300 seconds LRGB exposures. Image scale is 1.9sec/pixel. Comet38P/Stephan-Oterma taken by Tone Špenko on December 26, 2018 with Rezman I telescope. 180 seconds LRGB exposures. Image scale is 1.9sec/pixel. Comet 46P/Wirtanen taken by Tone Špenko on December 18, 2018 with Rezman I telescope. 60 seconds exposures in each LRGB filter in moonlight conditions. Image scale is 1.9sec/pixel. Comet 38P/Stephan-Oterma taken by Tone Špenko on December 18, 2018 with Rezman I telescope. 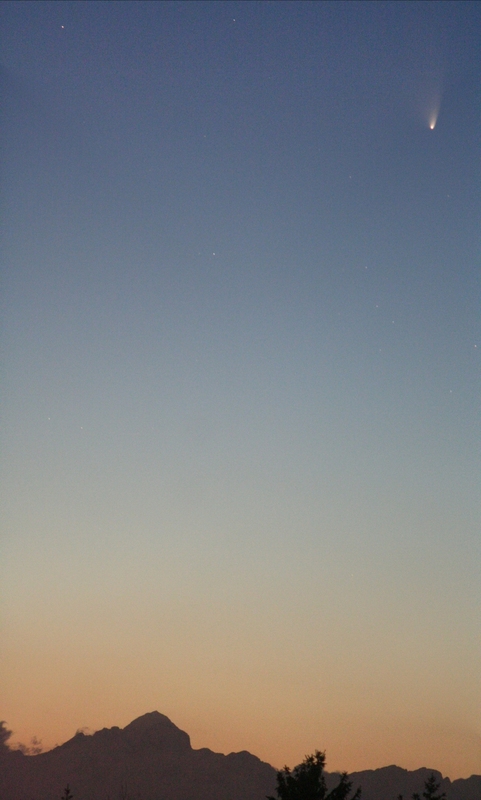 180 seconds LRGB exposure in moonlight conditions. Image scale is 1.9sec/pixel. Comet 46P/Wirtanen taken by Tone Špenko on December 12, 2018 with Rezman I telescope. 60 seconds exposures in each LRGB filter. Image scale is 1.9sec/pixel. Comet C/2018 L2 (ATLAS) taken by Tone Špenko on December 12, 2018 with Rezman I telescope. 120 seconds LRGB exposure. Image scale is 1.9sec/pixel. 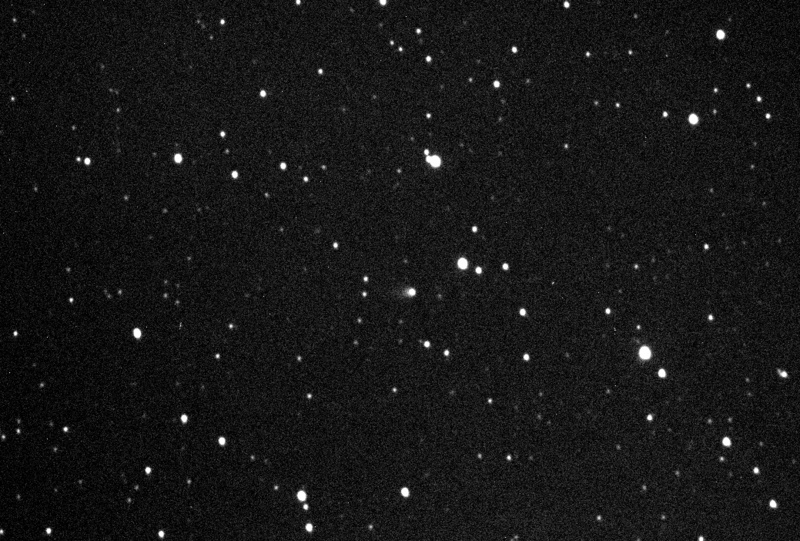 Comet 64P/Swift-Gehrels taken by Tone Špenko on December 12, 2018 with Rezman I telescope. 120 seconds LRGB exposures. Image scale is 1.9sec/pixel. Comet 38P/Stephan-Oterma taken by Tone Špenko on October 19, 2018 with Rezman I telescope. 180 seconds exposures in each LRGB filter. Image scale is 1.9sec/pixel. Comet 21P/Giacobini-Zinner taken by Tone Špenko on October 19, 2018 with Rezman I telescope. 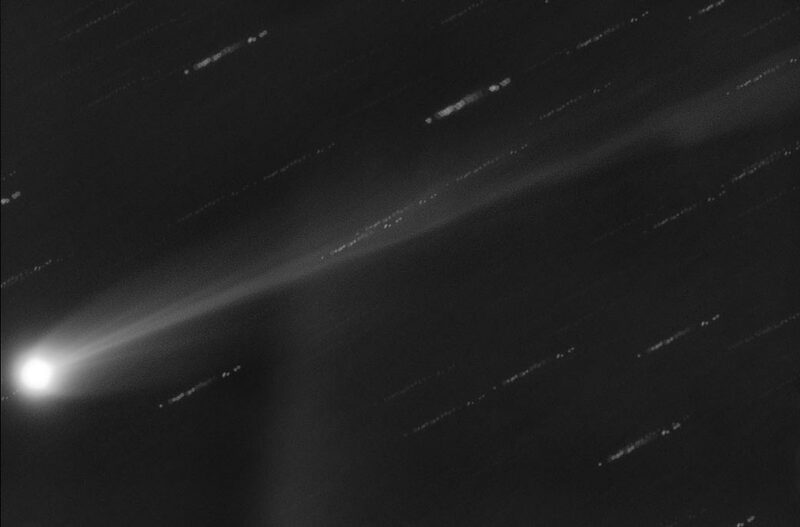 A single 180 seconds exposure of the fading comet. Image scale is 1.9sec/pixel. 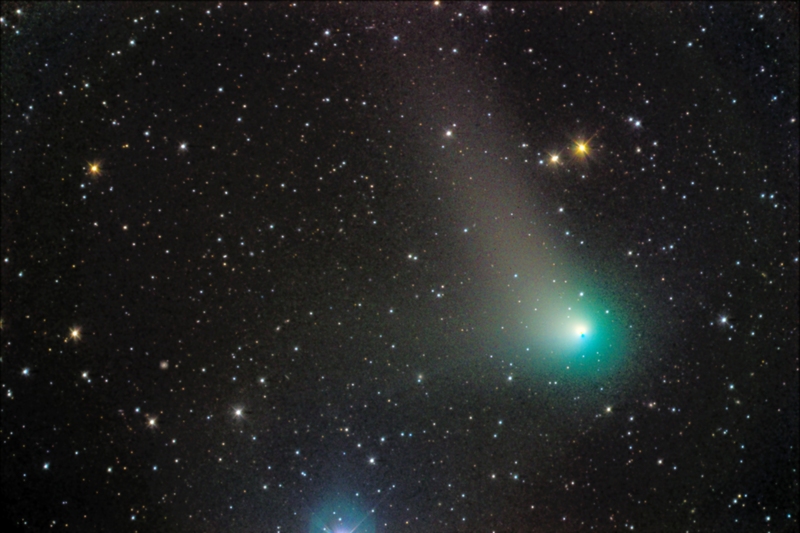 Comet C/2016 N6 (PanSTARRS) taken by Tone Špenko on October 19, 2018 with Rezman I telescope. A single 180 seconds unguided exposure. Image scale is 1.9sec/pixel. 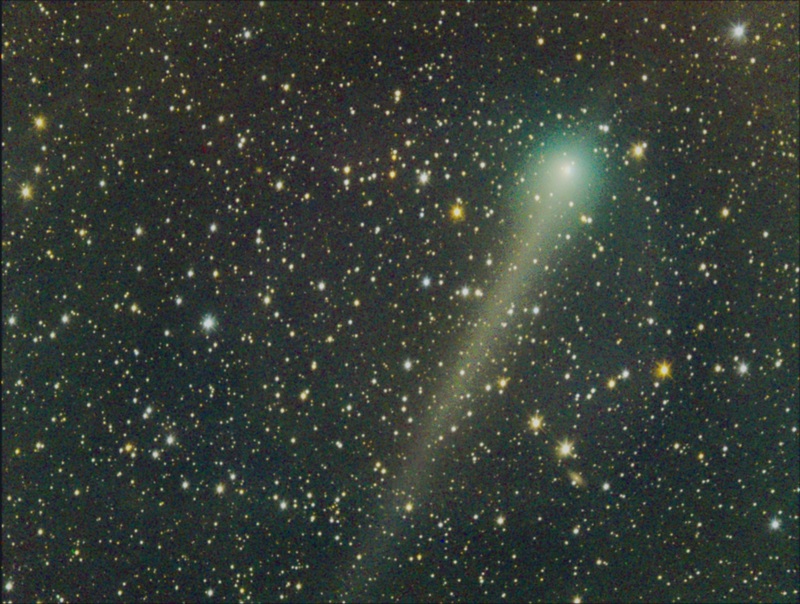 Comet 64P/Swift-Gehrels taken by Tone Špenko on October 12, 2018 with Rezman I telescope. Image scale is 1.9sec/pixel. Comet 29P/Schwassmann-Wachmann taken by Tone Špenko on October 12, 2018 with Rezman I telescope. Image scale is 1.9sec/pixel. Comet 38P/Stephan-Oterma taken by Tone Špenko on October 12, 2018 with Rezman I telescope. Image scale is 1.9sec/pixel. Comet 38P/Stephan-Oterma taken by Tone Špenko on September 16, 2018 with Rezman I telescope. Image scale is 1.9sec/pixel. Comet 21P/Giacobini-Zinner taken by Tone Špenko on September 17, 2018 with Rezman I telescope. Image scale is 1.9sec/pixel. 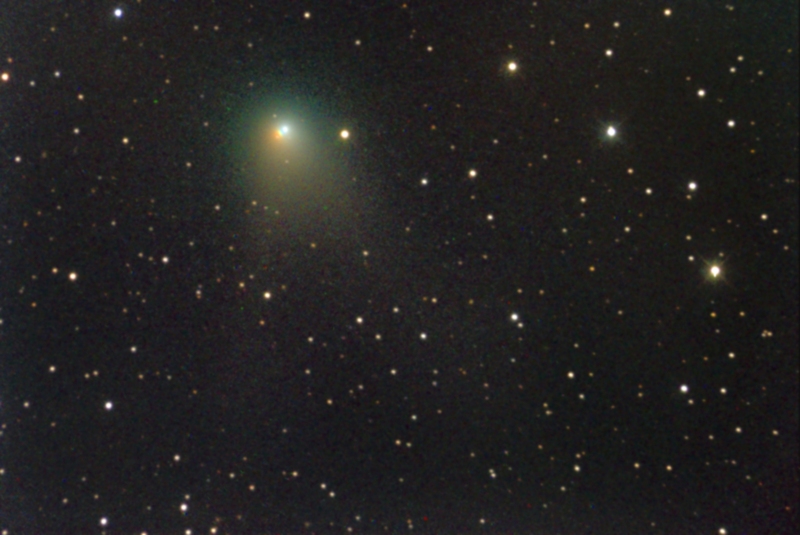 Comet 21P/Giacobini-Zinner taken by Tone Špenko on September 11, 2018 with Rezman I telescope. Image scale is 1.9sec/pixel. Comet 21P/Giacobini-Zinner taken by Tone Špenko on September 10, 2018 with Rezman I telescope. Image scale is 1.9sec/pixel. Comet 21P/Giacobini-Zinner taken by Tone Špenko on September 9, 2018 with Rezman I telescope. Image scale is 1.9sec/pixel. Comet 21P/Giacobini-Zinner taken by Brane Vasiljevič on August 13, 2018 with Rezman I telescope. Image scale is 1.9sec/pixel. Comet 21P/Giacobini-Zinner taken by Tone Špenko and Brane Vasiljevič on August 10, 2018 with Rezman I telescope. Image scale is 1.9sec/pixel. 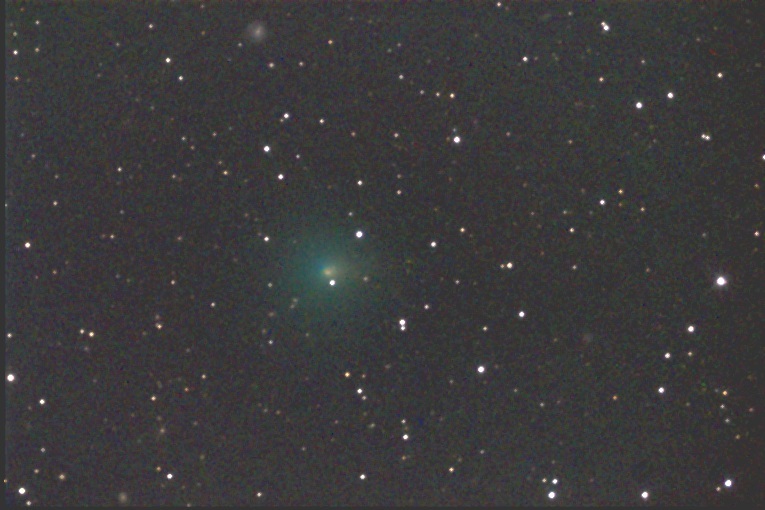 Comet C/2017 O1 (ASSASN) taken by Rok Palcic on October 15, 2017 with Rezman I telescope. 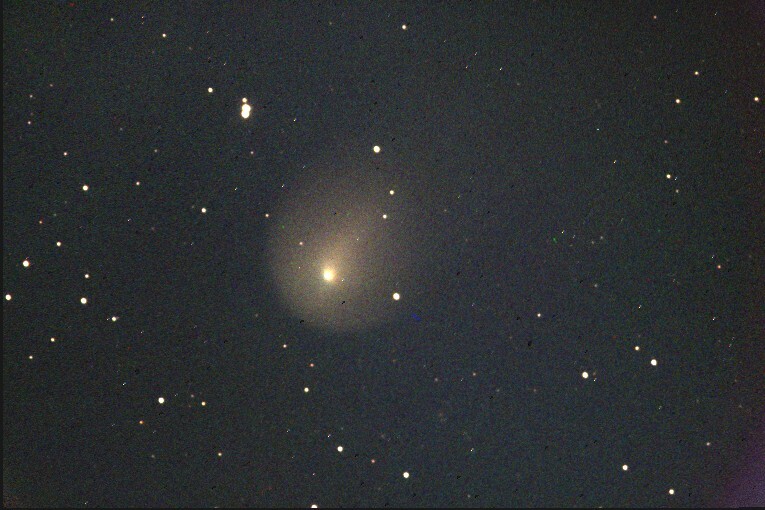 3x120 seconds exposure, Image scale is 1.9sec/pixel. Comet 45P/Honda-Mrkos_Pajdusakova taken by Tone Špenko on February 26, 2017 with Rezman I telescope. Comet C/2015 V2(Johnson) taken by Tone Špenko on February 26, 2017 with Rezman I telescope. 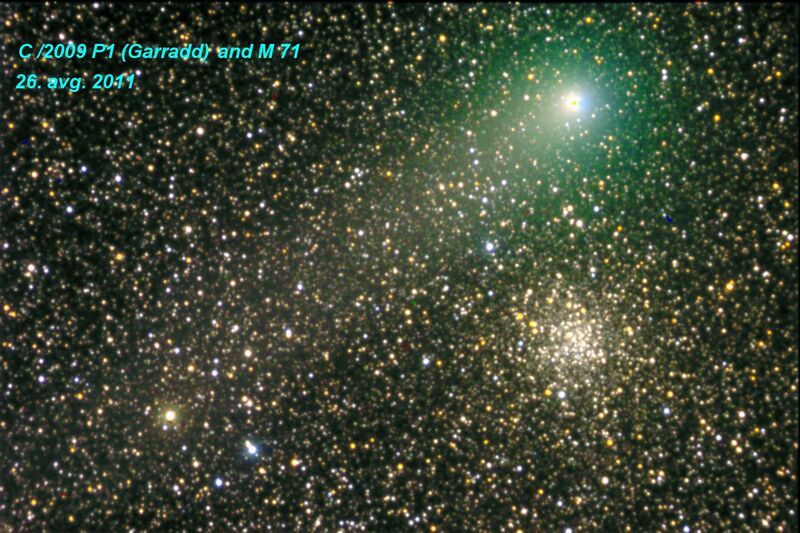 Comet 41P/Tuttle-Giacobini-Kresak taken by Tone Špenko on February 26, 2017 with Rezman I telescope. Comet C/2015 V2(Johnson) taken by Brane Vasiljevič on December 9, 2016 with Rezman I telescope. Comet C/2016 U1(NEOWISE) taken by Brane Vasiljevič on December 9, 2016 with Rezman I telescope. Comet 252P/LINEAR taken by Tone Špenko on April 2, 2016 with Rezman I telescope. 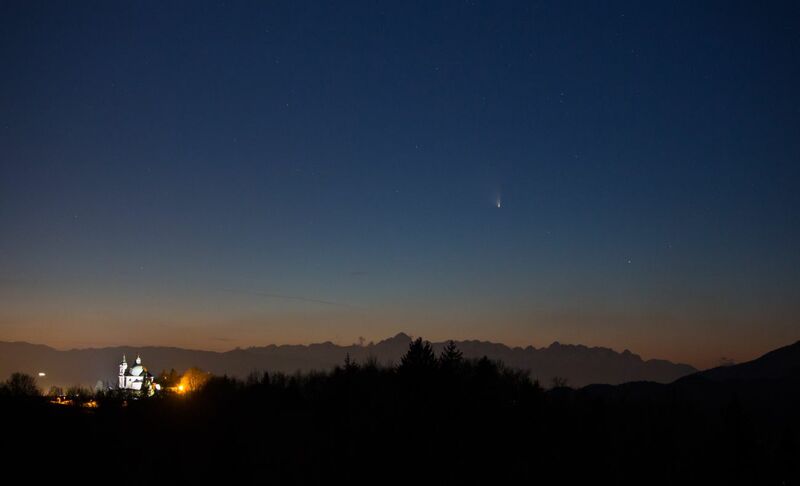 C/2014 S2 (PANSTARRS)taken by Tone Špenko on April 2, 2016 with Rezman I telescope. C/2013 S2 (PanSTARRS) taken by Tone Špenko on January 14, 2016 with Rezman I telescope. 120 seconds LRGB exposures. 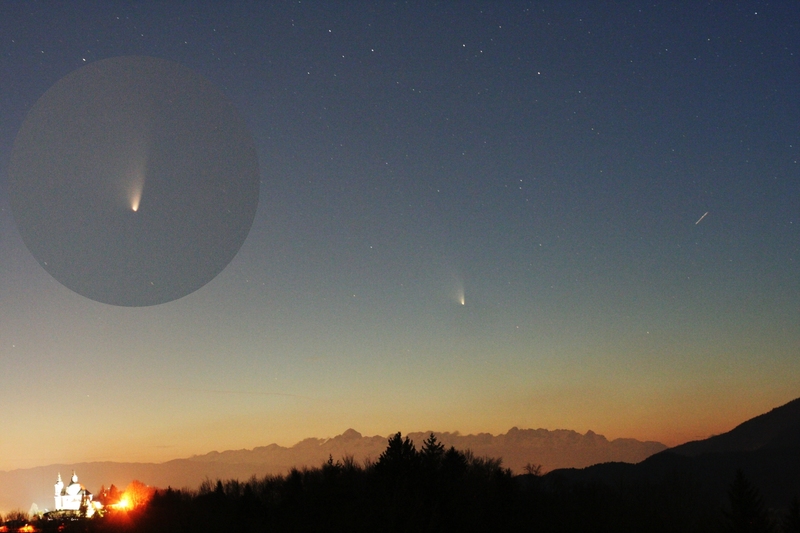 C/2013 X1 (PanSTARRS) taken by Tone Špenko on January 14, 2016 with Rezman I telescope. 120 seconds LRGB exposures. C/2013 US10 (Catalina) taken by Tone Špenko on January 14, 2016 with Rezman I telescope. 120 seconds RGB and 300 seconds L exposures. 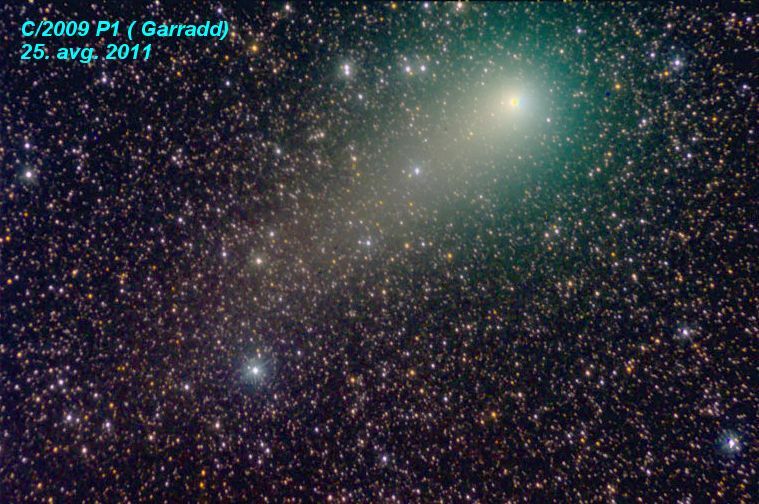 C/2013 US10 (Catalina) taken by Brane Vasiljevič on January 13, 2016 with Rezman I telescope. 6x180 seconds exposures. C/2013 US10 (Catalina) taken by Brane Vasiljevič on January 13, 2016 with Rezman II telescope. 7x300 seconds exposures. 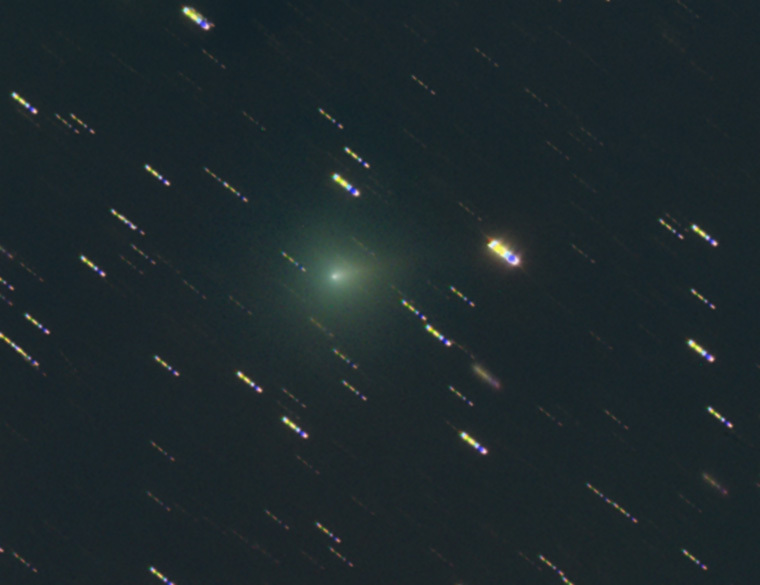 C/2013 US10 (Catalina) taken by Brane Vasiljevič on December 7, 2015 with Rezman II telescope. 3x60 seconds LRGB exposures. C/2013 X1 (PanSTARRS) taken by Brane Vasiljevič on December 4, 2015 with Rezman I telescope. 11x180 seconds exposures. C/2013 X1 (PanSTARRS) taken by Brane Vasiljevič on November 29, 2015 with Rezman I telescope. 120 seconds exposure. C/2013 X1 (PanSTARRS) taken by Brane Vasiljevič on November 16, 2015 with Rezman I telescope. 12x120 seconds exposures. 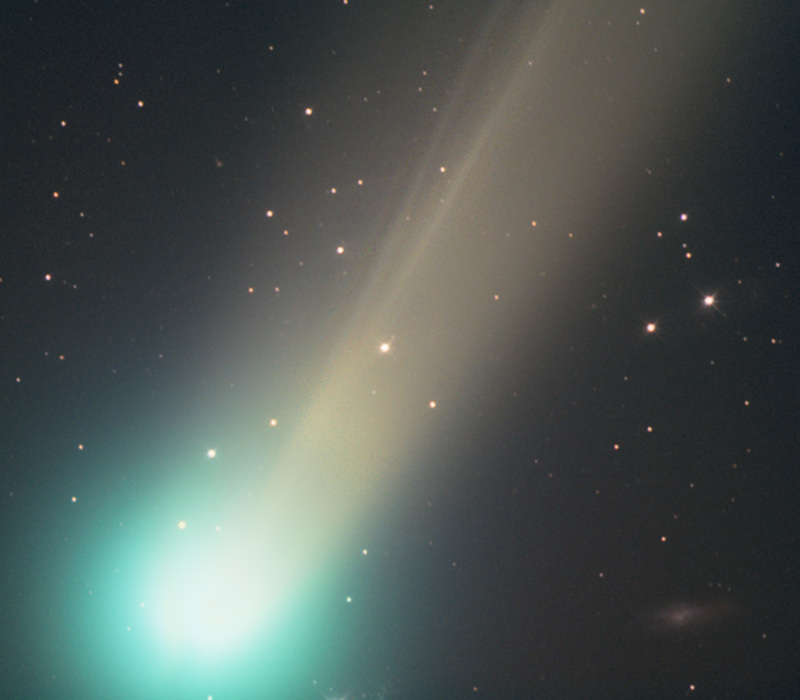 C/2014 Q2 (Lovejoy) taken by Tone Špenko on February 19, 2015 with Rezman I telescope. 180 seconds LRGB exposures. 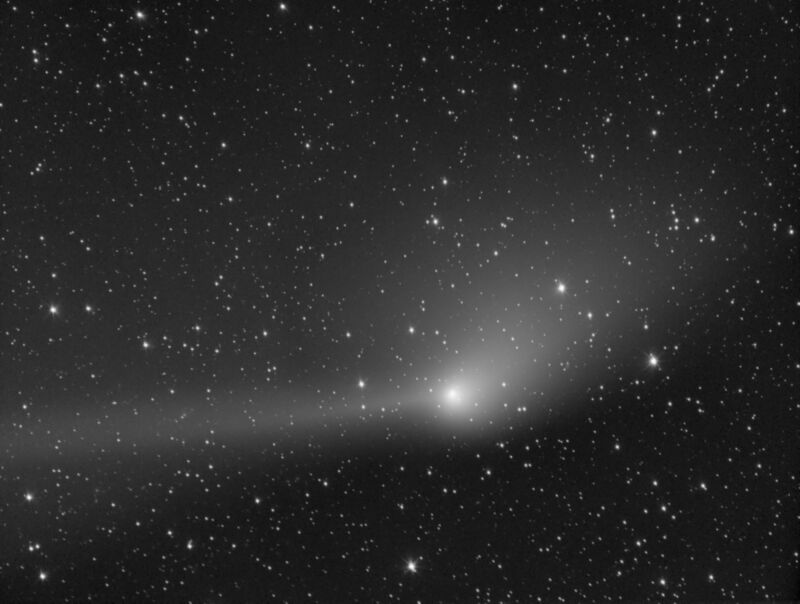 C/2014 Q2 (Lovejoy) taken by Brane Vasiljevič on February 19, 2015 with Rezman I telescope. 180 seconds LRGB exposures. 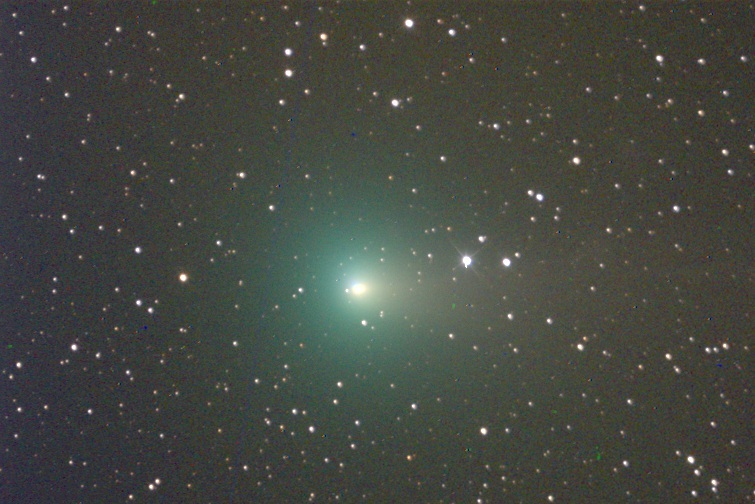 C/2014 Q2 (Lovejoy) taken by Tone Špenko on January 14, 2015 with Rezman I telescope. 120 seconds LRGB exposures. 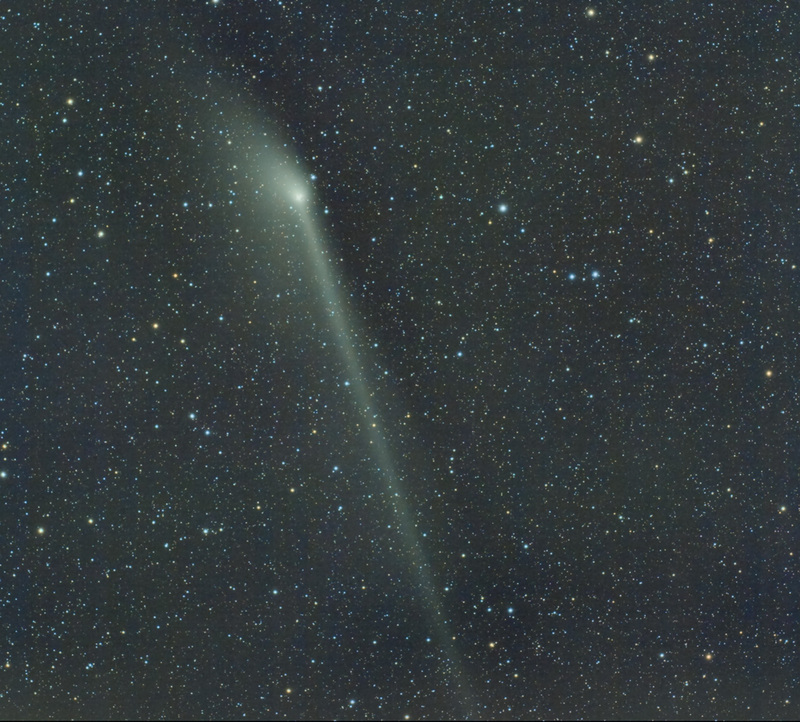 C/2014 Q2 (Lovejoy) taken by Tone Špenko on January 13, 2015 with Rezman III telescope (second image is animated GIF). 120 seconds LRGB exposures. 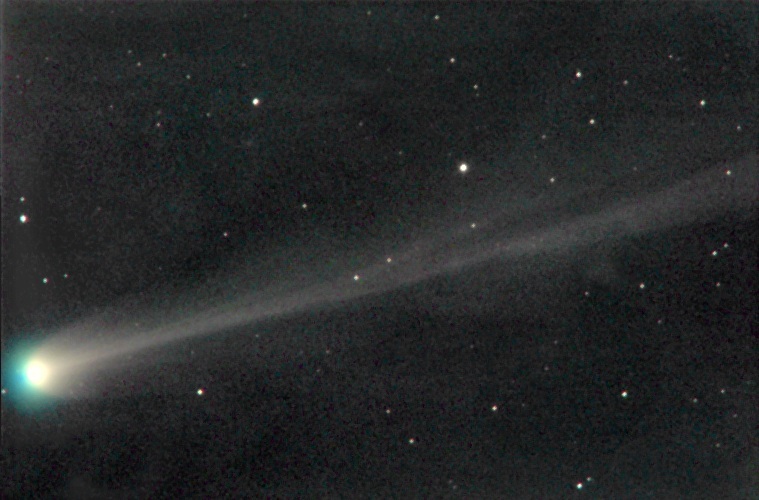 C/2014 Q2 (Lovejoy) taken by Tone Špenko on January 10, 2015 with Rezman III telescope. 120 seconds LRGB exposures. 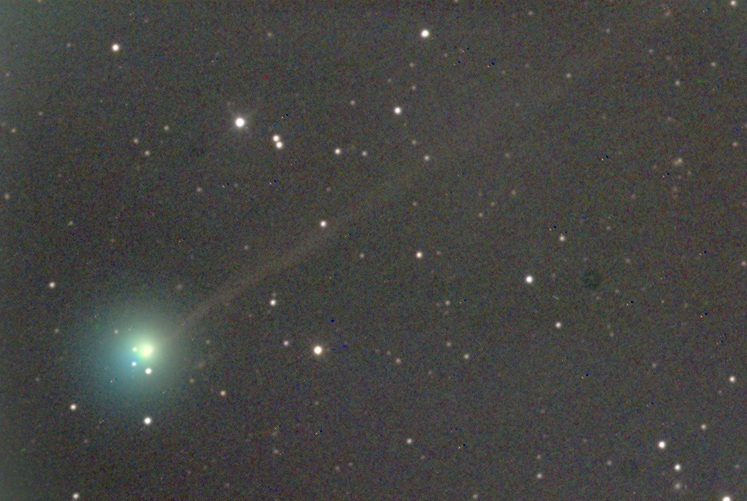 C/2014 Q2 (Lovejoy) taken by Tone Špenko on March 9, 2014 with Rezman I telescope. 120 seconds LRGB exposures. C/2012 X1 (LINEAR) taken by Tone Špenko on March 9, 2014 with Rezman I telescope. 120 seconds LRGB exposures. Comet C/2013 R1 (Lovejoy) taken by Brane Vasiljevič on December 7, 2013 with Canon 70-200 f/3.5 lens and Canon 5D Mark III. 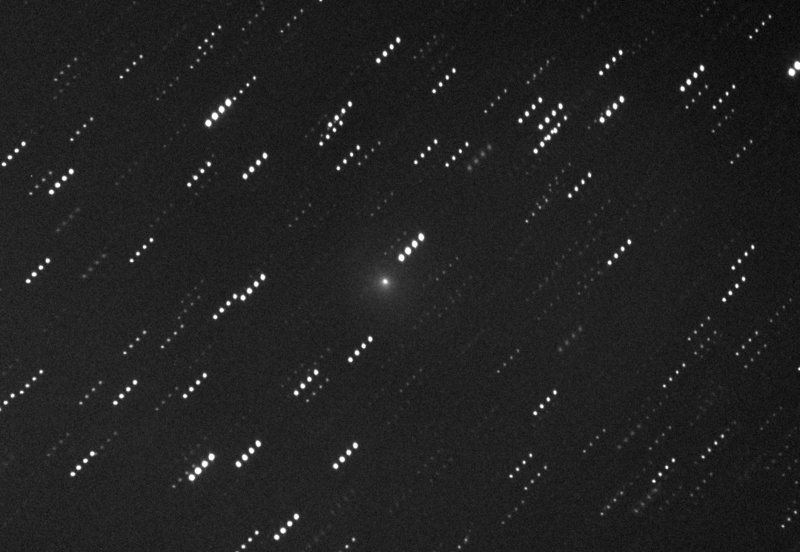 Comet C/2013 R1 (Lovejoy) taken by Tone Špenko, Brane Vasiljevič and Rok Palčič on November 28, 2013 with Rezman 3 and Rezman 1 telescopes and CCD. Comet 154P/Brewington taken by Brane Vasiljevič and Rok Palčič on November 26, 2013 with Rezman 3 telescope and CCD. Comet C/2013 V3 (Nevski) taken by Tone Špenko, Brane Vasiljevič and Rok Palčič on November 28, 2013 with Rezman 1 and Rezman 3 telescopes and CCD. 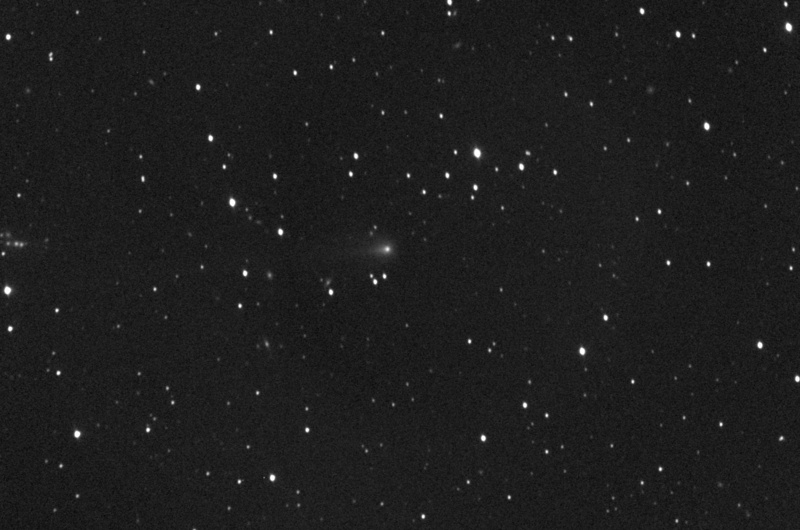 Comet C/2012 X1 (LINEAR) taken by Tone Špenko on November 28, 2013 with Rezman 1 telescope and CCD. Comet C/2012 S1 (ISON) taken by Tone Špenko, Brane Vasiljevič and Rok Palčič on November 1, 2013 with Rezman 1 and Rezman 3 telescopes and CCD. 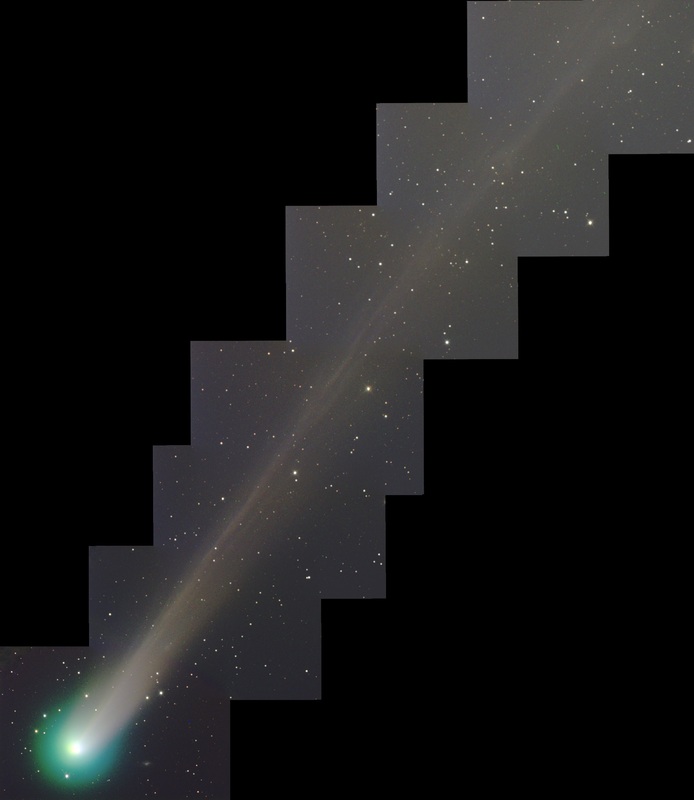 Comet C/2012 S1 (ISON) taken by Tone Špenko on November 1, 2013 with Rezman 1 telescope and CCD. 60 seconds exposure in each (LRGB) filter. 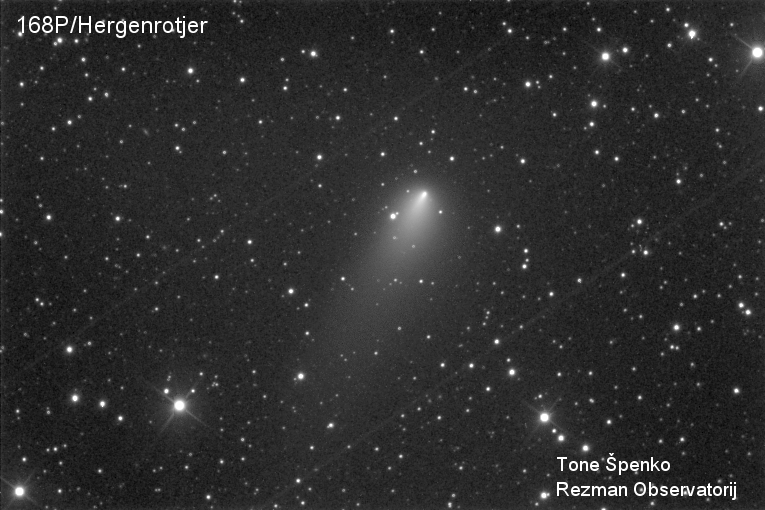 Comet 2P/Encke taken by Tone Špenko on November 1, 2013 with Rezman 1 telescope and CCD. 60 seconds exposure in each (LRGB) filter. 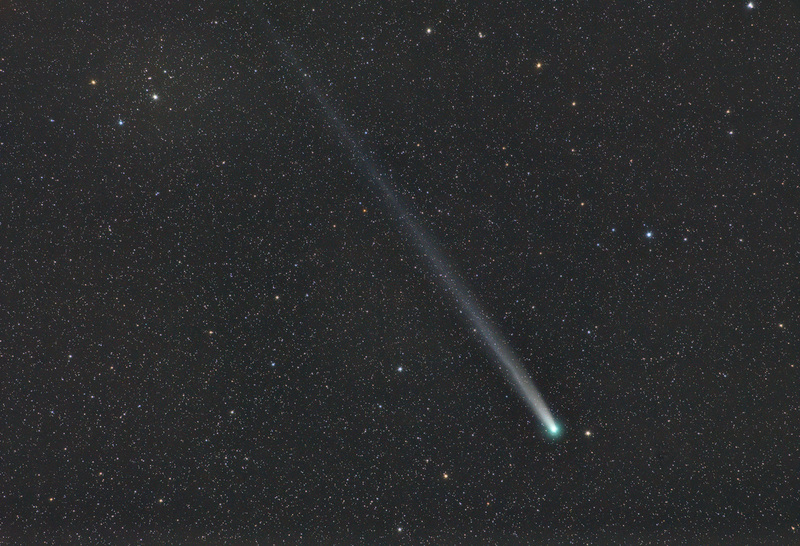 Comet C/2013 R1 (Lovejoy) taken by Tone Špenko on November 1, 2013 with Rezman 1 telescope and CCD. 60 seconds exposure in each (LRGB) filter. 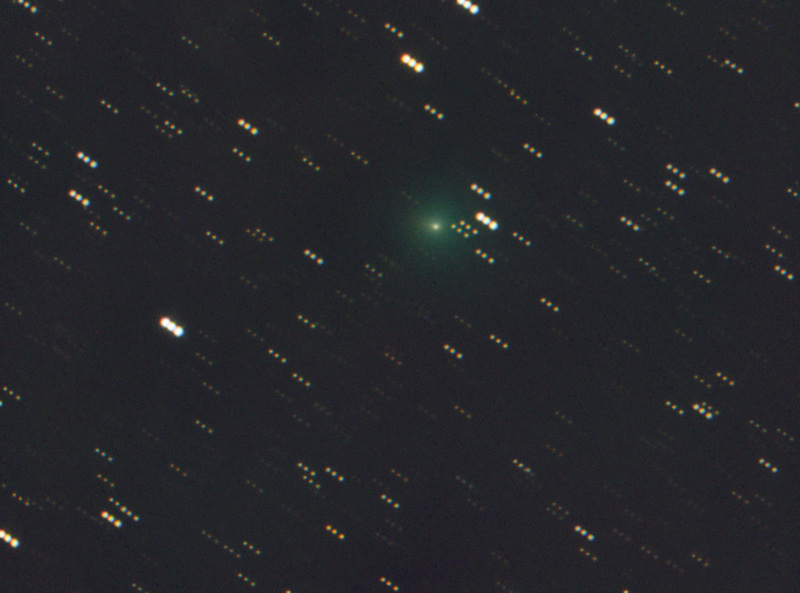 Comet C/2012 X1 (LINEAR) taken by Tone Špenko on November 1, 2013 with Rezman 1 telescope and CCD. 60 seconds exposure in each (LRGB) filter. Comet C/2011 L4 (PanSTARRS) taken by Tone Špenko and Rok Palčič on August 11, 2013 with Rezman 3 telescope and CCD. 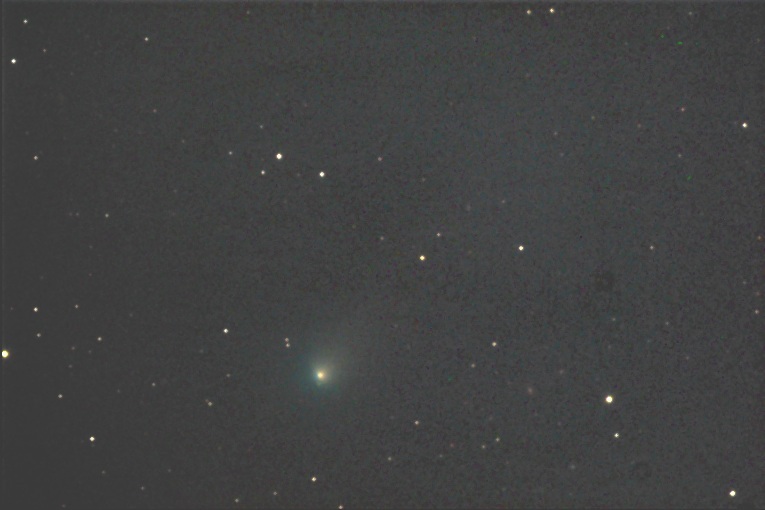 Comet C/2011 L4 (PanSTARRS) taken by Rok Palčič and Brane Vasiljevič on May 14 and 18, 2013 with Rezman 3 telescope and CCD (right) and Takahashi refractor and Canon 5D Mark III camera. Images taken by Rok Palčič on May 14, 2013 with Rezman 3 telescope and CCD. Pixel scale is 1.55 arc secs/pixel. Images taken by Tone Špenko and Brane Vasiljevic on March 18, 2013 with Canon DSLR cameras and 200 mm telephoto lenses. The curch in Tunjice is clearly visible as well as highest mountain in Slovenia - Triglav. Image taken by Tone Špenko on October 20, 2012 with Rezman I telescope and CCD. 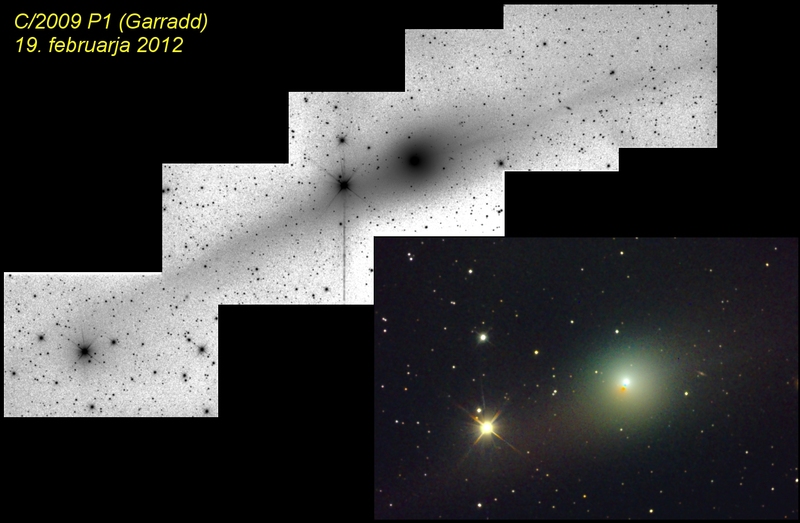 Image taken by Javor Kac on July 7, 2012 at 20:12:57 UT with Rezman I telescope and CCD. Images taken by Tone Špenko with 14" Rezman I telescope and ST8-XME CCD on October 2nd and 4th 2011. Images taken by Tone Špenko with 22" Rezman 3 telescope and SXVR-H35 CCD on April 12th 2012. Images taken by Tone Špenko with 14" Rezman I telescope and ST8-XME CCD on March 25th 2012. 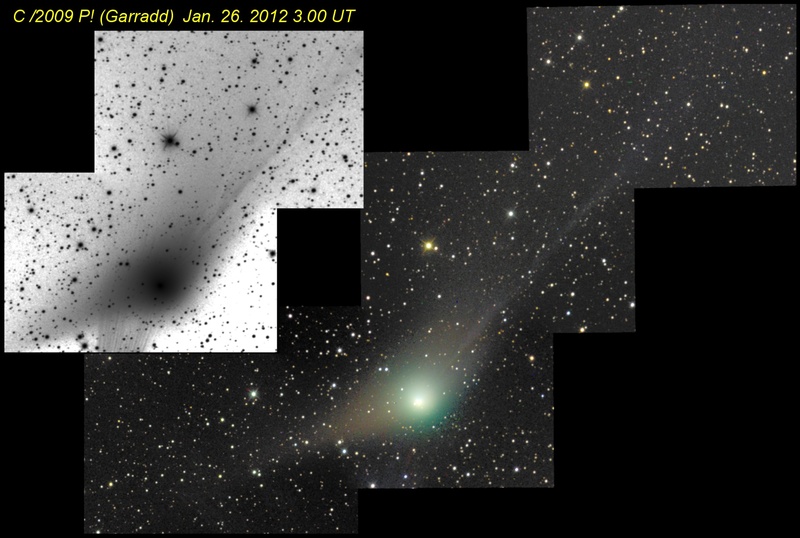 Images taken by Tone Špenko with 14" Rezman I telescope and ST8-XME CCD on February 19th 2012. Images taken by Tone Špenko with 14" Rezman I telescope and ST8-XME CCD on January 26th 2012. 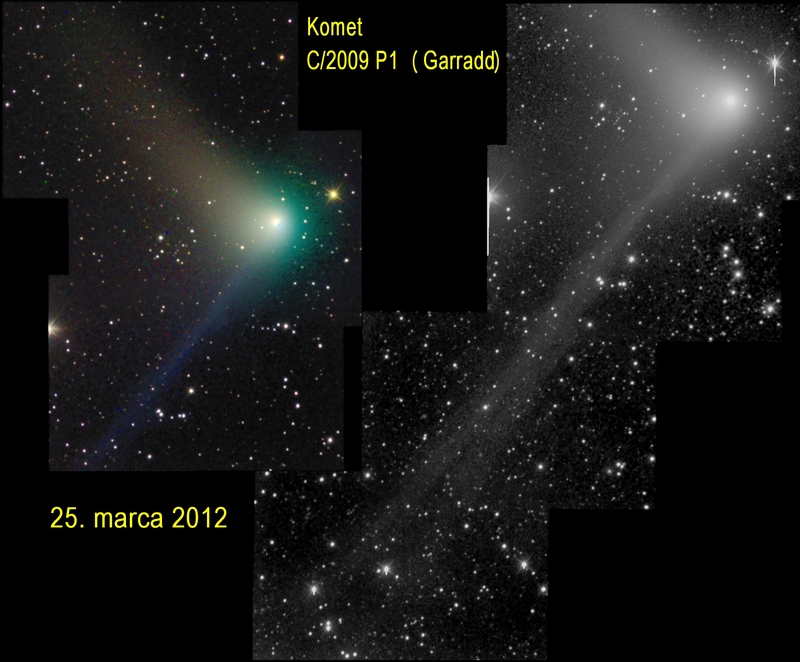 Images taken Tone Špenko and Brane Vasiljevič with 14" Rezman I telescope and ST8-XME CCD on August 25th and 26th 2011. Images taken by Tone Špenko with 14" Rezman I telescope and ST8-XME CCD on August 4 and 20, 2011 to show comparison of tail orientation change. Images taken by Tone Špenko with 14" Rezman I telescope and ST8-XME CCD on August 4, 2011 when it was near M15.